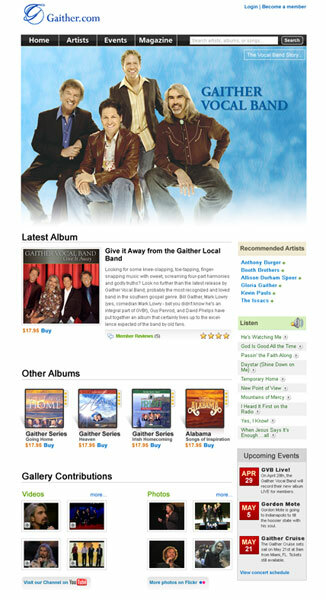 This was a mockup/design for a potential Gaither project. 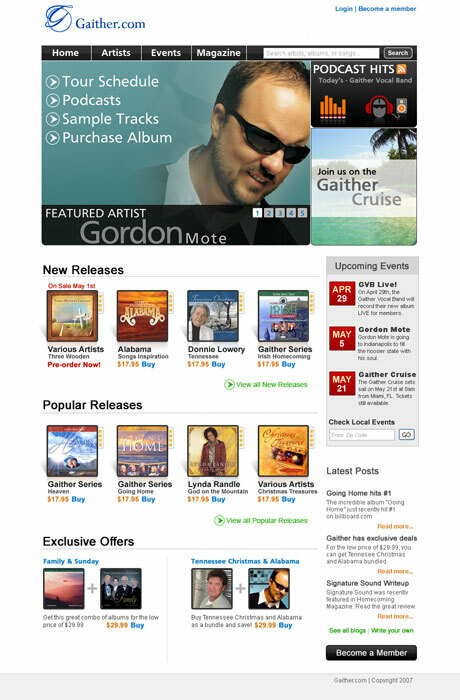 This was another mockup/design for a potential Gaither project. 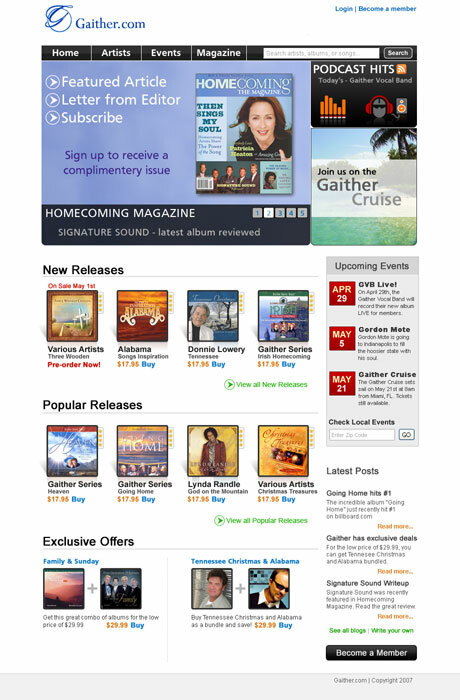 This was a third mockup/design for a potential Gaither project. To be clear, Gaither is/was not a client of mine. I was approached by a vendor wanting to become partners with Gaither. I helped the vendor by creating the below designs to be used in a presentation. Unfortunately, the project ended at this stage.